This just in: Virginia federal judge Henry Hudson on Monday ruled that he’ll let the state of Virginia’s challenge to the landmark health care law passed in March go forward, at least for the time being. Click here for the early Reuters story; here for the 32-page opinion. The Department of Health and Human Services had moved to dismiss the lawsuit, which was filed in March (click here for the complaint), shortly after the passage of the law. But Judge Hudson on Monday denied the motion. The ruling represents a setback that will force the Obama administration to mount a lengthy legal defense of the law. The suit, filed by Virginia Attorney General Ken Cuccinelli (pictured), alleges that the law’s requirement that its residents have health insurance violates the Commerce Clause of the Constitution. Virginia’s lawsuit is one of several trying to undo the health-care law. Another large one was filed in a Florida federal court by a handful of state attorneys general. HHS Secretary Kathleen Sebelius minimized the importance of the judge’s decision, calling it just a “procedural step,” according to the Associated Press. On the merits, we are surprised the judge took as much space to conclude that Virginia stated a valid cause of action, namely, that Congress had exceeded its constitutional authority with the individual mandate. At this stage in the litigation and on the particular motion that was filed (a Federal Rule of Civil Procedure 12(b)(6) motion to dismiss for the legal wonks), the judge need not and could not rule on who will win or even if one side is more likely to win. The only question is whether Virginia stated a legal cause of action (or legal theory) that is cognizable in law. Virginia certainly has at least a valid substantive theory to challenge the law, because someone with standing is always able to challenge the constitutionality of a statute on the ground that Congress has no constitutional authority to enact it, QED. Indeed, we think Virginia ultimately should win on the merits, but it is even easier to show that the correct form of the argument was set forth in the complaint. Nevertheless, unless the district court’s jurisdictional rulings are overturned, Judge Hudson’s discussion of the constitutional issues is somewhat instructive. 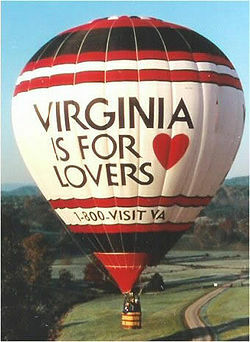 It shows he is not hostile or dismissive of Virginia’s claims, which is surely good for liberty. Expect the Left to go after Judge Hudson. George W. Bush appointed him to the federal bench in 2002, following a career in the state bench and also in the US Marshal Service as director during Bush 41’s administration. The Right showed no reluctance to point out Susan Bolton’s appointment by Bill Clinton, and turnabout is not just fair play but de rigueur by now. It matters little, anyway. Virginia wasn’t the only state preparing a challenge to this law, nor was it even first to file a challenge. This law will go to the Supreme Court from many directions, and there are more than enough constitutional grounds for judges to allow hearings on it, regardless of what Pete Stark thinks. Besides, Hudson only refused to dismiss the lawsuit. He hasn’t yet ruled on any of the arguments in the case, except to rule that Virginia has a case to argue that the federal government overreached. What we know now is that at least one court will hear that case — and that’s the first step to checking the power of Washington.